Reetika Joshi contributes regularly to HfS Research's BPO research coverage, in areas such as analytics and vertical processes. 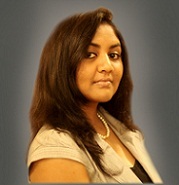 Reetika is a Senior Research Analyst at ValueNotes Sourcing Practice, based in Pune, India. She currently tracks the outsourcing industry, with a special research focus on the fast-growing technology-enabled learning segment. Based in India, she has undertaken several research assignments across the outsourcing spectrum, including market studies in niche BPO and KPO areas such as medical transcription, research and analytics and e-learning. Over the last few years at ValueNotes, she has had the opportunity to work on multiple bespoke research services for outsourcing providers, including in-depth competitive intelligence, investment opportunity assessment and custom publishing. Reetika’s work has appeared in many industry-relevant publications and websites, including Outsourcing magazine, Global Services Media and the Horses for Sources blog. She has presented her views on the state of the outsourcing at various conferences. A strong believer in the power of communities, she manages ValueNotes Sourcing Practice’s corporate blog, as well as an e-learning industry knowledge-sharing group on Linkedin. Reetika has completed her Master’s in Marketing Management with distinction from Aston University, UK, receiving Beta Gamma Sigma honours. She was awarded the Accenture prize for Best Student on her course. Her final year dissertation was titled ‘Learning from Management Mistakes: Are Today’s Top Business Students Prepared for the Flawed Realities of the Business World?’. Prior to this, she received her Bachelor’s in Business Administration with distinction from Symbiosis International University, India. On a more personal note, she enjoys reading (fantasy series in particular). She loves listening to music, you’ll always find her with headphones on – her all time favourite band is Radiohead (who she had the great fortune to see in concert). Not quite the sportsperson, but she gets her fix from adventure sports and scuba diving (when she’s lucky). Her other interests include travelling, watching the odd foreign/independent film, and lastly, rooting for Google Android and the open source community. If you have any questions regarding her work, would like to exchange ideas, or just say hello, do reach out at reetika at valuenotes dot com.